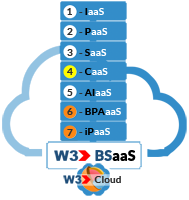 W3 is an enterprise cloud computing company that provides an industry-leading suite of integrated, Intelligent Business Automation and Management platform to enable companies of all sizes to streamline their business processes and become more efficient, allowing them to redeploy their resources better. W3’s vision is to help organizations run better, faster and further. For small companies to large multinationals, W3 provides end-to-end process integration, enabling customers, employees, suppliers and partners collaborate, market, sell and procure more effectively. In a typical installation customers see a reduction in time and resources spent on Quote and Order creation, Order placement with Suppliers updating and syncing with Accounting systems, providing reporting to management and much more. W3 business applications enable customers to adapt continuously, operate profitably and grow sustainably. Our customers look to us to help them automate, simplify, seamlessly connect people and technology in real-time. W3 leverages industry-specific knowledge, technology and functionality to deliver a flexible, yet affordable, enterprise cloud computing business system without requiring expensive software modifications or extensions. The W3 enterprise cloud computing business systems and technologies help enhance overall business operations by reducing implementation and on-going administrative costs, increasing organizational responsiveness and productivity, improving customer service, sharpening organizational insight and control, and delivering a rapid return on investment. Total Ownership Costs and Return on Investment for our customers. In addition to helping generate new revenues through improved business processes, the W3 approach provides customers with a much quicker, and much greater, return on investment than competing products. The seamless links between W3's front-office, back-office and external systems eliminates the time and expense associated with integrating best-of-breed applications, which currently is a fact of life with virtually every other vendor's products. To best address your questions, please direct your inquiries to the appropriate contact listed below. Headquarters: W3 Business Network Inc.